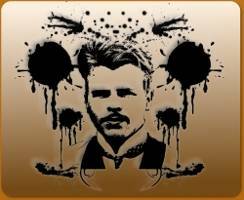 Established in 1996, as "The Original Rorscahch Website," Rorschach.org aims to continue providing an online resource for information about the ethical and professional use of Rorschach Inkblot Test. To this end, I have collected a variety of resources and products to help the student and professional administer, score, and interpret the Rorschach Inkblot Test in an ethical, reliable, and valid manner. My vision is to provide fair, unbiased, accurate, and useful professional, scientific and objective information to students, professionals, and lay persons regarding the Rorschach Inkblot Test. For the record, I am in favor of trained and skilled professionals utilizing the Rorschach in an appropriate manner, in appropriate settings, and to answer appropriate clinical questions. Much of the controversy regarding the Rorschach Inkblot Test surrounds the definition of the word "appropriate." If you have found the information on the website useful, please consider donating to help offset the costs of hosting the site. Thanks for your consideration. New Delhi: The Department of Psychology, School of Social Sciences (SOSS), IGNOU, will soon organise a workshop on the Rorschach Inkblot Method using the Exner scoring system. See all stories on this topic. Copyright © 1994 - 2014 by Mark W. Matthews, PhD. Some Rights Reserved.